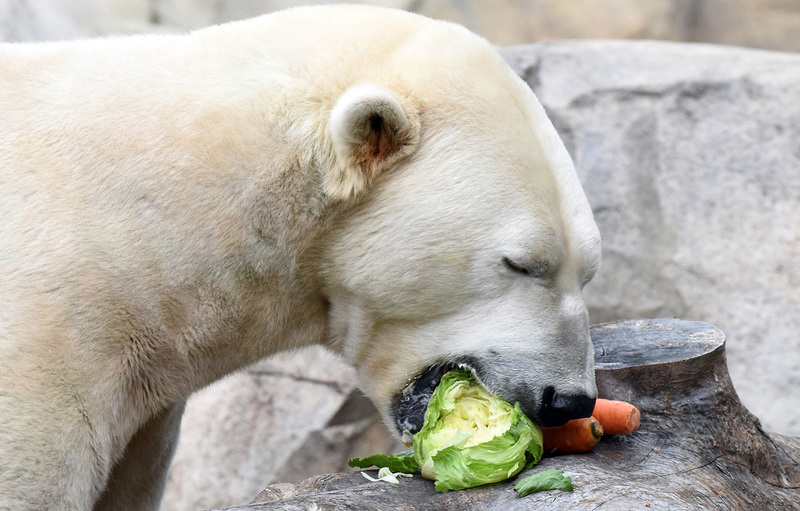 Polar bears are carnivores, but at the zoo they also enjoy a hearty breakfast that includes their favorite treats - carrots and lettuce. 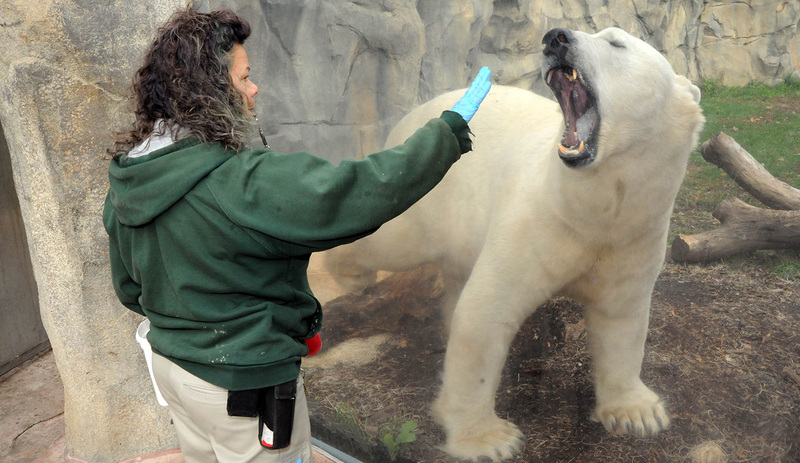 After breakfast, animal care specialists do a full body check including weighing, checking teeth, tongue and gums, paws and pads to make sure they are nice and healthy. 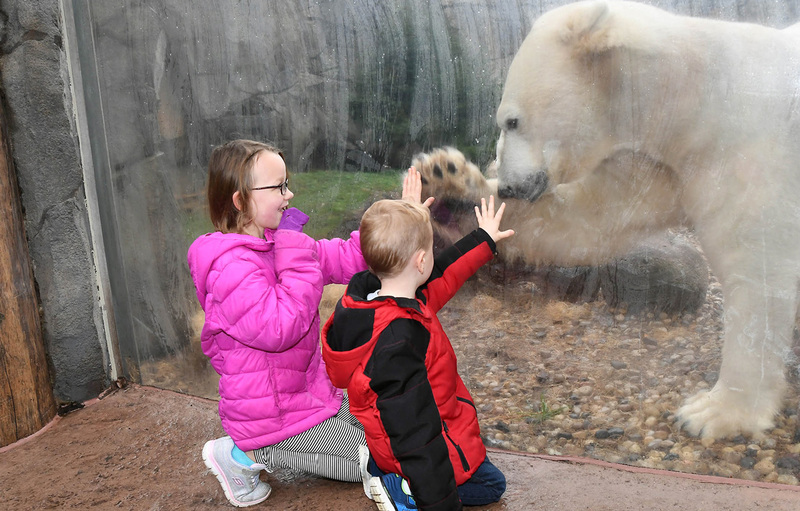 Hudson loves to make new friends and gives special guests a high five! 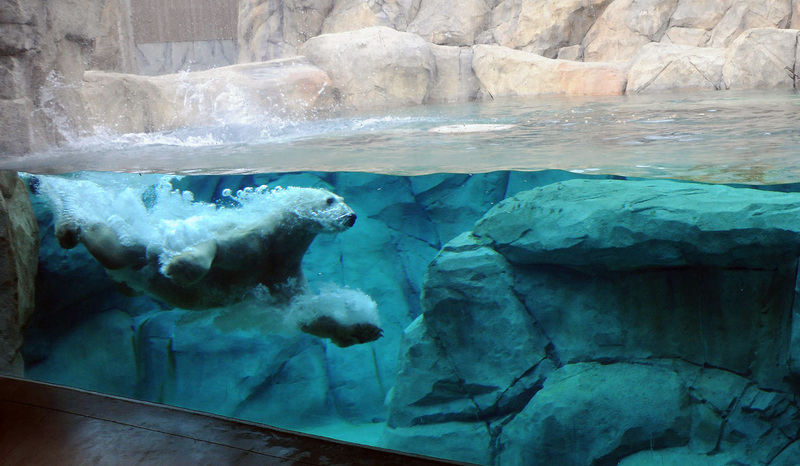 Polar bears are strong swimmers and love to dive! 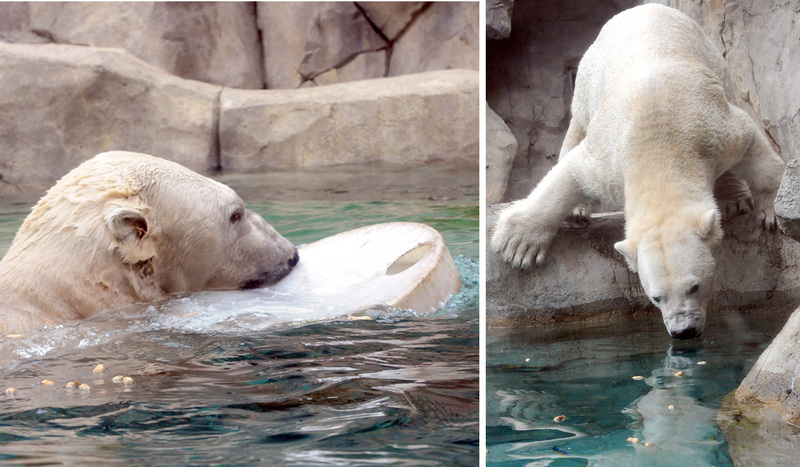 At the Brookfield zoo, we provide enrichment activities to encourage natural behaviors. Here, Hudson is diving for bones. 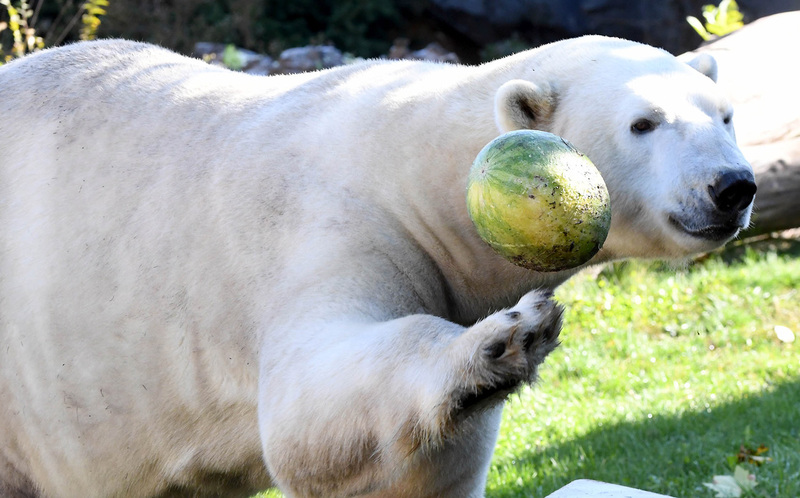 Polar bears love to play! We give them enrichment devices and puzzles to solve. This one had hidden peanuts inside it. YUM!